BSc in Visual Communication is a media literacy course that endeavors to sensitize the students with all the nuances of the media and entertainment industry. 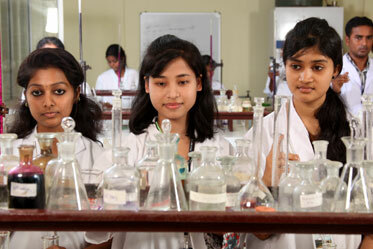 Its broad area covers an array of multi disciplinary subjects and its applications are innumerable interrelated professions. The students on the completion of this course will be able to work on various visual platforms like digital and non digital imagery, multimedia, film and television, printing and publication. 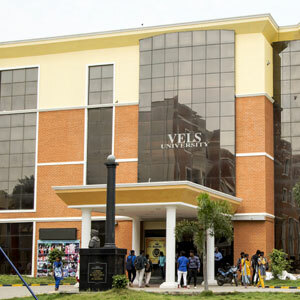 The growing importance of this field of study has made the Vels University to offer BSc in Visual communication since the academic year 2009-10. 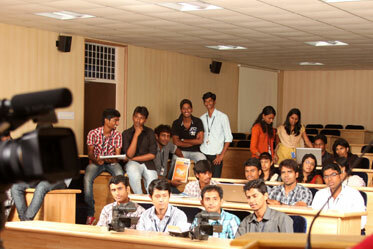 The aim of the course is to equip the students to see things with the eye of a visual communicator. 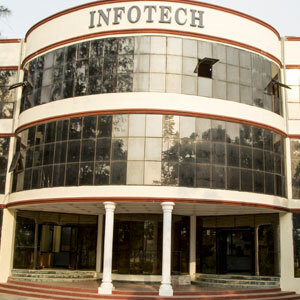 It makes them understand the language of the visuals and help communicate effectively in various media formats. A combination of papers grounded in theory and practical helps the students to acquire necessary professional training required to enter the field of media and entertainment. Well designed course curriculum, high quality teaching faculty, friendly teaching environment, first hand industry exposure are some of the special features of this course. The department organizes planned visits to various media houses to build relationship with the professional world and prepare them for future employment. 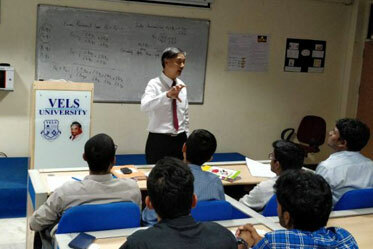 Besides, experts from the field of media and entertainment visit the department to share their knowledge with the students. 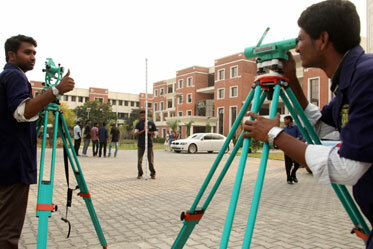 A well equipped multimedia studio, latest still digital cameras and video cameras, state of the art shooting floor, editing and sound recording studio, air-conditioned Lecture Theater, large number of books and periodicals at the University’s library are some of the infrastructure provided by the Vels University for smooth conduct of the course. 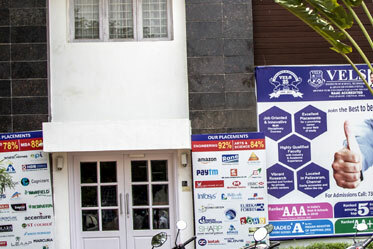 The course transforms the student into one of the best media professional and can find employment opportunity as Multimedia Designer/Developer, Web Developer and Web Production Specialist, Web Graphics Artist, Animators, Visualizers, Cartoonists, Ad film makers, Copywriters, Photographers, Video Editors Directors, Scriptwriters, Interactive Content Specialist, Event Managers. 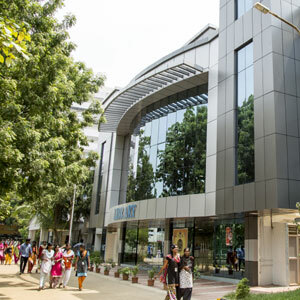 The VELS University assists its students in career placement at the film and television production units, television channels, multimedia studios, advertising agencies, newspapers, magazines, and other outlets of media and entertainment. The Visual Communication department admits a limited number of students. 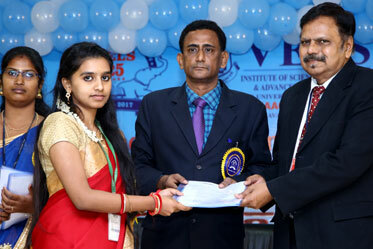 The selection procedure is based on creative portfolio of the students. Any + 2 students having an aptitude for visualizing, drawing, writing and other creative activity are eligible for this course. In this age of communication revolution Visual communication has emerged as one the growing field of professional education. 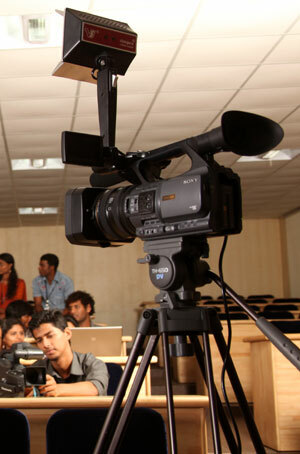 The future of the students is linked with the growing field of media and entertainment industry. To quote Dr Ishari K Ganesh, Chancellor of the Vels University, " Visual Communication imparts media literacy that goes beyond horizons and we let our students to cross all boundaries in quest of visual literacy."